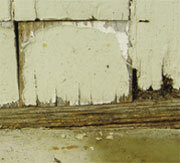 Earl's Wood Hardener - How to fix wood rot. Earl's Wood Hardener penetrates into soft rotted wood fibres, restoring them to near original strength. This means you can repair even the most damaged wood, ready for full restoration. Area treated has been treated with Earl's Wood Hardener and then filled with Earl's Powder Putty and painted. Furniture, fences, decking, posts, widow sills and sashes - the list is endless. Earl's Wood Hardener will save you hundreds of dollars on replacements. Earl's Wood Hardener comes pre-mixed and ready to apply. Modern technology has allowed the development of a water-based consolident that is also non-toxic once cured and completely safe to use around the home. Earl's Wood Hardener has a shelf life in excess of two years. Always use in temperatures above 7 degrees C.
Ensure area to be treated is dry, free of dirtm dust or grease and remove loose paint, varnish or flaky wood. Generously apply Earl's Wood Hardener by pouring, spraying, brushing or sponging onto area to be restored. Repeatedly saturate the rotted wood fibres to enable the deepest possible penetration. Let cure until solid and not tacky to the touch. 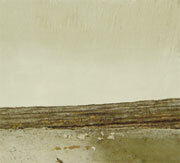 Multiple treatments might be needed on extremely soft wood. Earl's Wood Hardener should be considered a non structural wood hardener. For more safety information, please read directions and safety instructions on the product label before use.